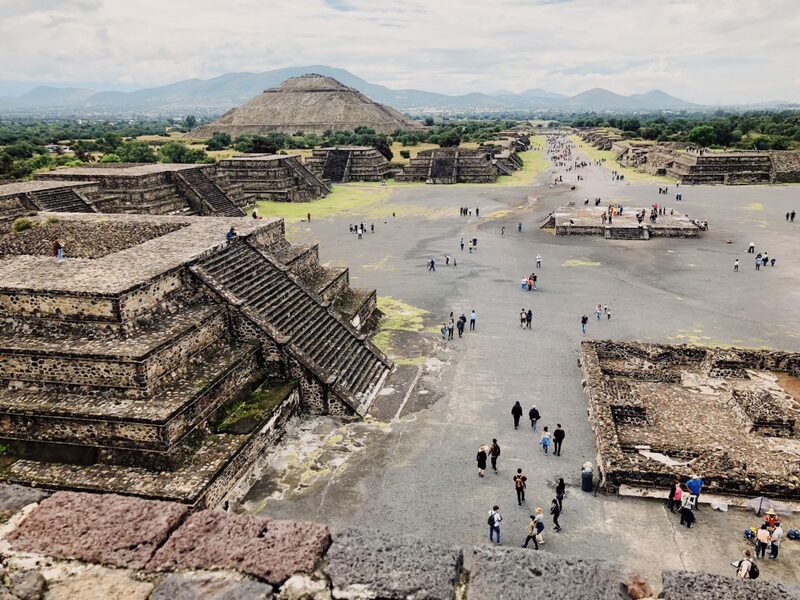 Teotihuacan is an ancient city that features the Pyramid of the Sun and Pyramid of Moon. When you climb the pyramids you get this serene feeling. I can only compare to climbing a vortex in Sedona, AZ. It’s this sort of awe that is great. 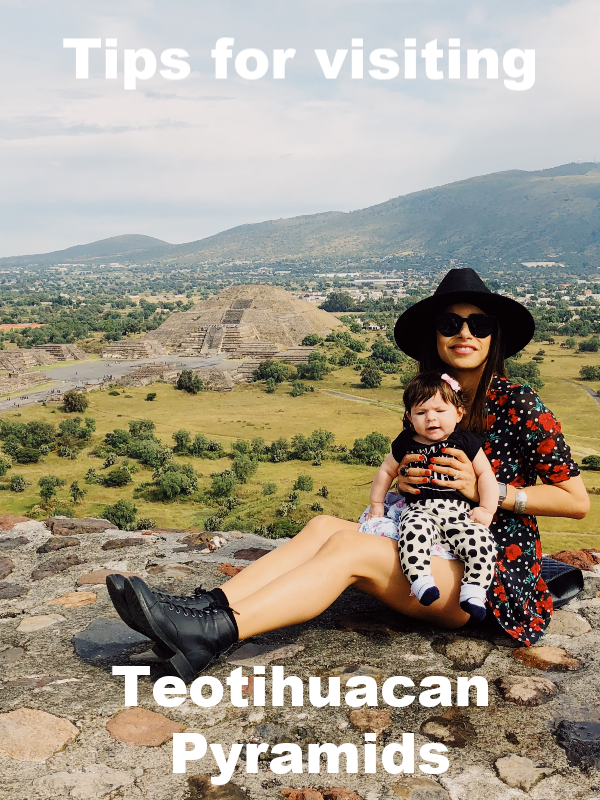 I was fortunate to visit Teotihuacan for the second time and I definitely didn’t forget it’s magic. I have added a couple this below to help you enjoy your trip. There are plenty of excursions that will take you to Teotihuacan. If you are staying at a hotel your consierage can easily arrange a private or group tour. However, if you want to do your own thing you can easily take an Uber or Lyft that will drop you off in one of the entrances. Arrive as early as possible. Doors open at 9 am (closed on Mondays). The first reason for this is that it gets hot fast! The second reason is that you want to beat the crowds. We arrived around 9 am so it was still pretty calm. Protect yourself from the sun. If possible wear a hat and sunblock. If you forget a hat there are vendors along the entryway. Bring plenty of water. 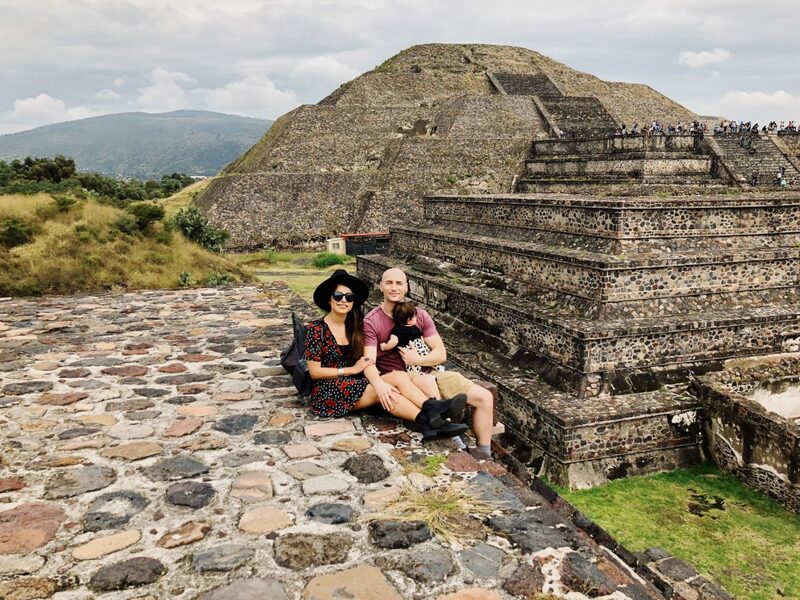 The Pyramid of the Sun and Moon have a total of about 389 steps so you will need it. 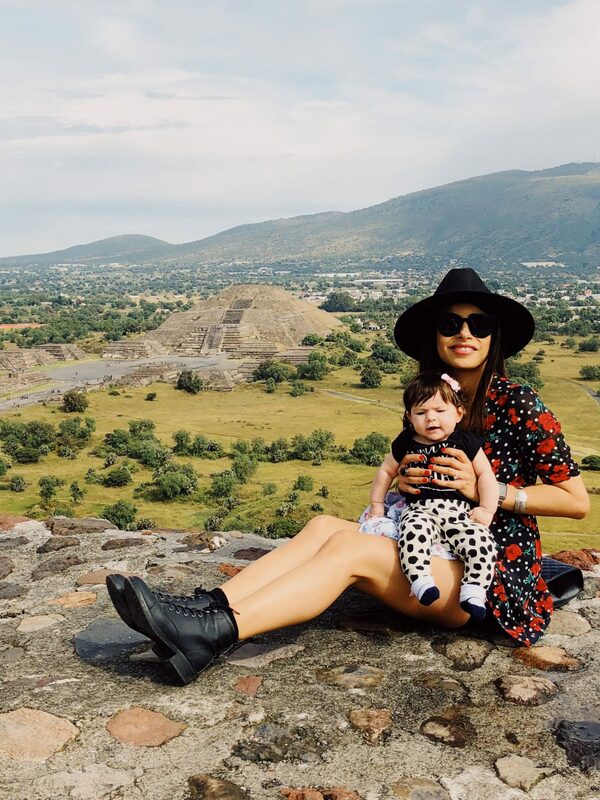 If you are traveling with a baby, bring a light diaper bag that also functions as a backpack. This might go without saying but make sure you wear comfortable shoes. These two are just in case. Bring toilet paper for the restroom and hand sanitizer, for some reason there was no soap in the public bathroom. 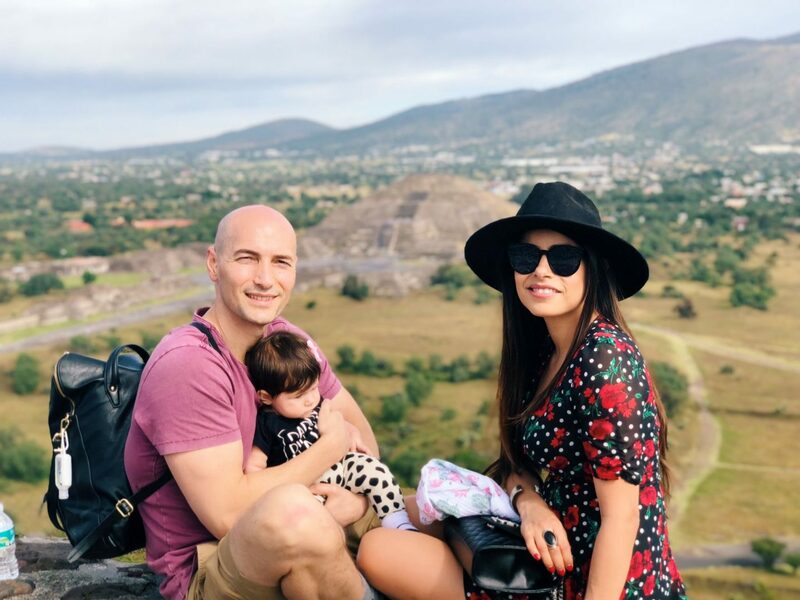 For us, this wasn’t an issue because we travel with a baby and things get dirty sometimes so we were prepared. I know for some people visiting Teotihuacan can seem like a whole day event but it’s really not if you plan it out ahead of time. We were back in Mexico City at Maximo by 1:30 pm. There was a couple sitting next to us that overheard us talking about going to the pyramids and they were bummed out because they were told it was a full day event and didn’t go because of it. 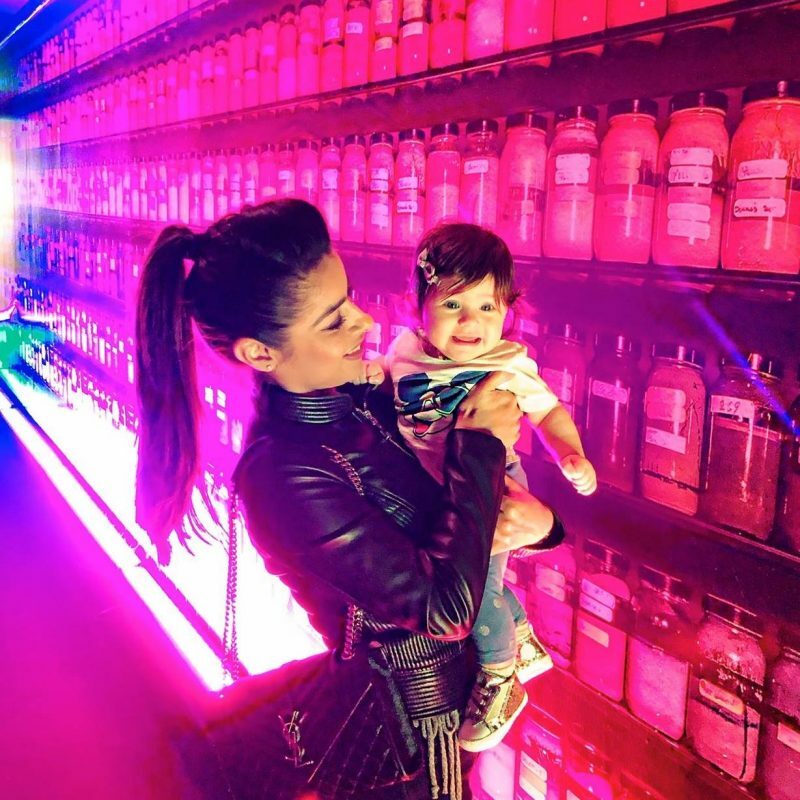 If we can make it, while traveling with a baby, you can too! Next Post Faux Bangs in 3 Steps!